Rebecca Burke has been named chief nursing officer and senior vice president for patient cares services at St. Francis Hospital and Medical Center in Hartford, Conn. In that role, she will oversee administrative direction for all nursing personnel at the Roman Catholic hospital. Burke, 55, most recently worked as senior vice president for patient care services and CNO at Miriam Hospital in Providence, R.I. Burke is a registered nurse and a graduate of the nurse executive fellow program at the Wharton School of the University of Pennsylvania in Philadelphia, and has written or co-authored seven journal articles, a news release said. 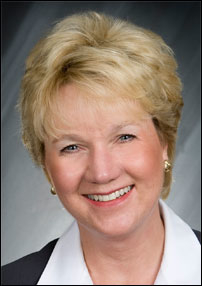 Burke replaces Kate Roche, who was promoted to executive vice president and COO in January 2009, according to a hospital spokesman.